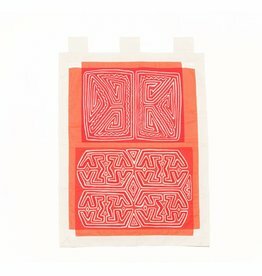 Molas are squares consisting of layers of cloth cut with sissors to depict traditional Kuna designs. The squares are worn, one in front and one in the back on women's blouses. 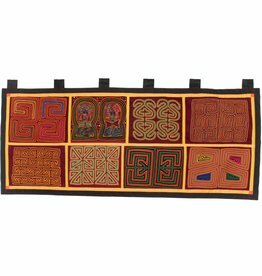 Wall Hanging constructed from 8 Molas (Kuna). 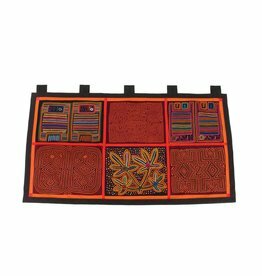 Wall Hanging constructed from 6 Molas (Kuna). 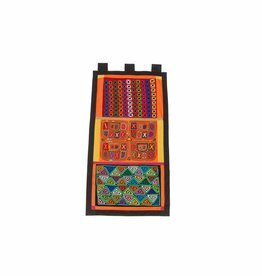 Wall Hanging constructed from 2 Molas (Kuna). 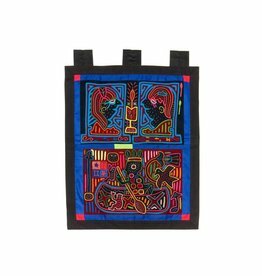 Wall Hanging constructed from 3 Molas (Kuna).